[toc] Asthma is one of the discomforting health ailments that are usually associated with the inflammation of the lungs. This leads to difficulty in breathing as one of the most prevalent and serious symptoms of asthma. However, those people who have regular issues of asthma attacks need to work more on the preventive measures rather than treatment. This only means that you can keep the problem at bay with some simple tips. To help out people suffering from asthma, the prevention is given below in this guide. Check them out and follow as much as you can, to get effective and visible results. The ones mentioned below are the top notch prevention ideas. Stress is another of the strong reasons for the occurrence of asthma. In such a case, the best that can be done is to reduce the stress by adhering to relaxation techniques like yoga and meditation. Apart from this proper rest and sleep will also help in managing stress. These will give you the peace of mind that will prevent asthma. One of the simple preventions that you can take for keeping asthma at bay is to use allergy proof mattresses as well as pillows. This will ensure that there is no accumulation of dust in the areas where you come in contact with the most. Since, asthma is triggered by dust and allergens in the environment, having allergy proof furnishings is the first step towards your goals. For people who are asthma patients, it is very important to get regular checkups from a professional. This will help them in the prevention of the problem before it occurs. This should be done at least 1-2 times in a month. It will help you in living a smooth life and in case your body is getting prone to the symptoms, it can be treated at the onset itself. Pets are another way of bringing allergens to the bedroom that will make the environment more prone to bringing the asthma attacks. Pet dander is a trigger for asthma according to the professionals. This might be a difficult step to follow since we are really close to the pets, but then this is one preventive measure you will have to take to keep the deadly asthma away. Anything that causes smoke should be stayed away from as prevention for asthma. This is especially valid for tobacco smoke that can greatly trigger the symptoms of asthma. 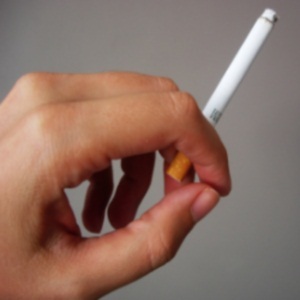 It is also advisable that you stay away from people who have recently smoked tobacco. The smoke enters the hair of the smoker and can still be a trigger for asthma. Cockroaches are a trigger for asthma in children and therefore one need to keep them away from the house completely. Regular cleaning of the house and pest control is highly recommended for the purpose. It also means that one should more than frequently clean away the trash from the house which is a common place for roaches to reside.